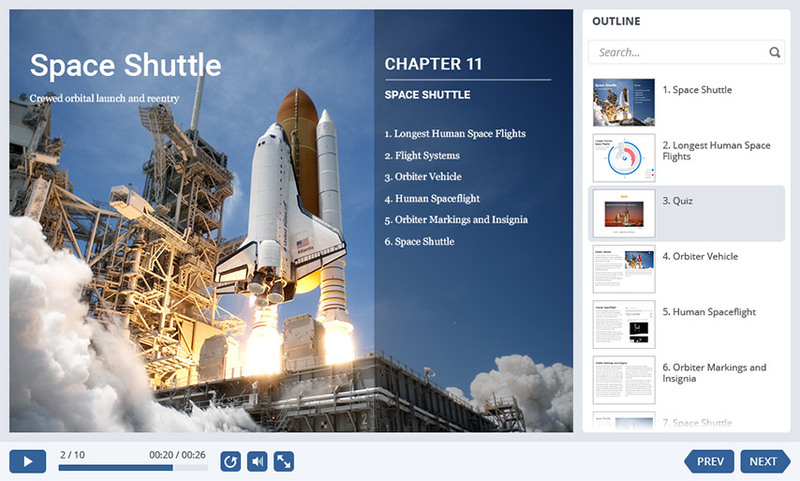 iSpring Suite is a robust toolkit for creating eLearning courses, interactive assessments, video lectures, conversation simulations, screencasts, and many other types of learning content. 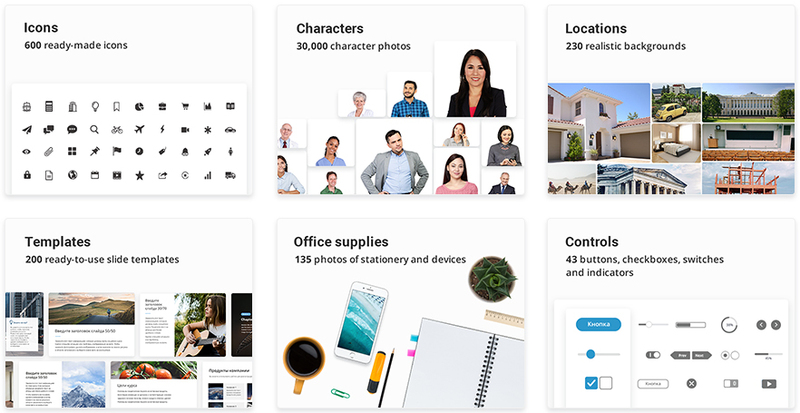 - an extensive collection of eLearning assets (course templates, backgrounds, characters, controls, and icons). iSpring Suite is a supercharged eLearning toolkit for designing adaptive multi-device courses. 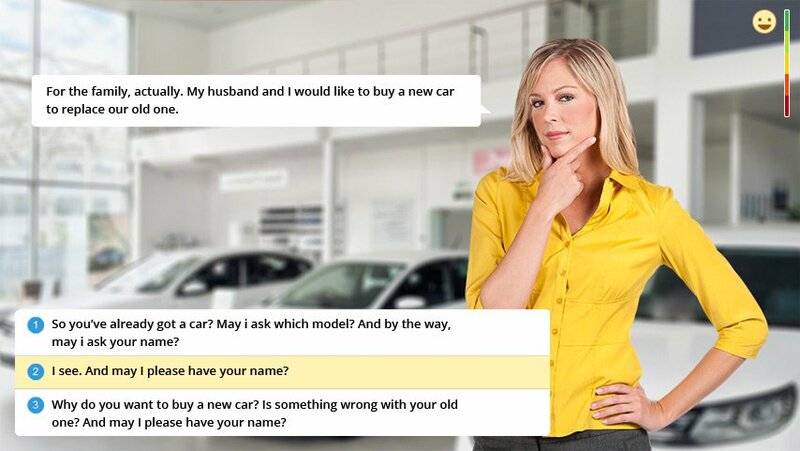 It boosts e-courses with training videos, interactive assessments, and dialogue simulations. At the same time, it's a friendly tool with virtually no learning curve - exactly what you need under deadline. iSpring Suite is a robust solution for digital learning authoring that lets you use your authoring skills. 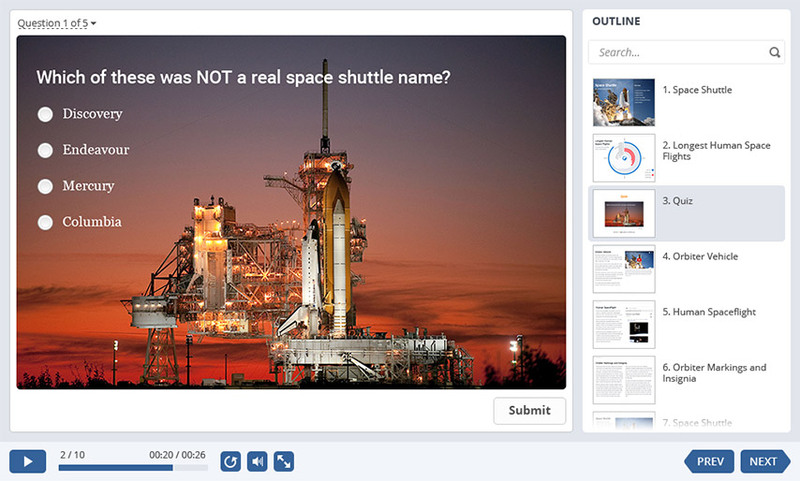 You can easily swap your PowerPoint presentations for supercharged e-courses. With iSpring, you get one solid tool for creating various eLearning content types and activities. iSpring Suite is a mobile-ready solution, integrated with the cloud sharing service to ensure top scalability and visibility of your content. Plus, you can always be sure in perfect course playback on any mobile and desktop device thanks to the unique adaptive player. Hi there! 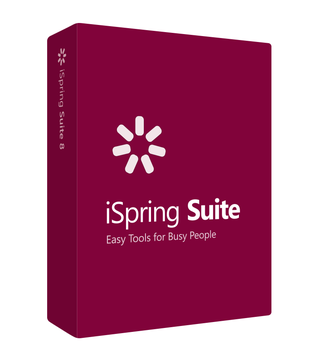 Are you looking to implement a solution like iSpring Suite?